This book is The Alchemist for readers with a sense of humor. I was lucky enough to hear French author Francois Lelord read from Hector in his very heavily- accented English and very droll inflection and was immediately hooked! Hector, a somewhat disenchanted psychiatrist, embarks on a journey to discover the true meaning of happiness. There is real wisdom in here, couched in a tongue-in-cheek story you won’t want to end. I was lucky enough to hear French author Francois Lelord read from Hector in his heavily-accented English and very droll inflection and was immediately hooked! There is real wisdom here, couched in a tongue-in-cheek story you won’t want to end. Can we learn how to be happy? Hector is a successful young psychiatrist. He's very good at treating patients in real need of his help. But many people he sees have no health problems: they're just deeply dissatisfied with their lives. Hector can't do much for them, and it's beginning to depress him. 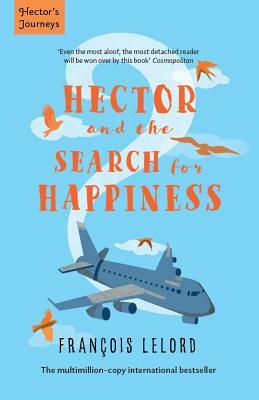 So when a patient tells him he looks in need of a holiday, Hector decides to set off round the world to find out what makes people everywhere happy (and sad), and whether there is such a thing as the secret of true happiness.